Our Online Ordering System Is Now LIVE! Spices have been India's trademark for centuries; their use is described in Sanskrit texts over 3,000 years old. How they are used though, varies and is quite striking from one region to another. 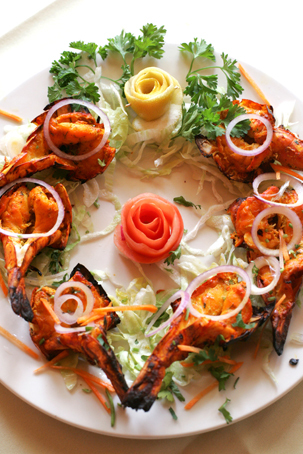 At Spice Root Indian Restaurant, you can enjoy dishes and specialties from all over India. Spice Root serves authentic Indian food featuring both Southern and Northern specialties. Be sure to click our links to the left, for Great Cocktails and Special Deals! Restaurant Take Out (No Minimum Order), Delivery ($15 Minimum Order) and Catering Available ...Plus A Full Bar.